Ragi's clients range from owner-managed businesses and private equity houses through to privately owned and listed multi-national corporations. Head of Gowling WLG's automotive manufacturing and electric vehicle sector teams, Ragi focuses on understanding the market which the OEMs, automotive and electric vehicle supply chain (including component/technology suppliers) and charging infrastructure and energy providers operate in and fully servicing all of their legal requirements. Whilst retaining a focus on electric vehicle related and automotive manufacturing businesses, as an experienced corporate lawyer, Ragi has also advised clients across numerous sectors on their M&A strategy and their wider business issues. As a former technology lawyer, Ragi acts for a number of technology or tech enabled businesses and his past as a professional cricketer means he is an integral part of our sports practice. This breadth of experience allows him to imaginatively solve issues by using experience and approaches utilised in different sectors. Head of our India team, Ragi is well versed in both domestic and cross border M&A. He is accustomed to servicing overseas clients, buying or selling from foreign companies and understanding the vagaries of transaction with a significant overseas element (be that in relation to India or elsewhere). 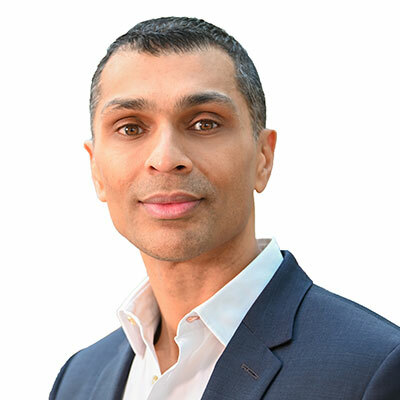 Ragi is adept at devising and implementing corporate strategy, identifying and managing risk in a commercial manner (recognising that doing business does involve risk) and driving a deal or project to closure. Ragi understands the different fears, objectives and perspectives of both trade and private equity buyers/sellers and management teams executing an MBO and skillfully manages their competing interests by constructing solutions which allay their fears and address their key commercial requirements. When advising, Ragi treat his clients' money as his own, appreciates that he is being paid to give an opinion rather than sit on the fence and keeps his advice as succinct as possible. Given that mind set, he aims to negotiate the best possible position for his clients without being inefficient, arguing "non-points" and being sensitive to the fact that the parties often have a commercial relationship to operate post-closing once the lawyers have moved on. Ragi is responsible for managing Gowling WLG's relationship with a number of our high profile clients such as household name car brands, FTSE 100, FTSE 250 and AIM listed manufacturers and retailers, some of the UK’s largest family owned businesses and listed Indian companies such as Mahindra and Eicher. Ragi enjoys immersing himself in his clients' businesses, enjoying their successes and helping them through any tough times. Ragi is always looking for corporate and commercial opportunities which will help his clients' businesses grow and seeks to build a relationship which goes further than simply transacting deals. Clients say Ragi is "tough yet likable", is "in the detail while still seeing the bigger picture", has an ability to "pick out problems ahead of us hitting them", and "demonstrates an invaluable focus on growing and protecting our businesses in any way he can". Advising Birmingham City Council on the auction sale of the NEC, NIA and ICC businesses for £307m to private equity house LDC. Advising a FTSE 250 company on multiple acquisitions of advanced engineering businesses which had complex IP considerations attaching to them and advising Hyder plc on its acquisition programme in the high risk and heavily regulated space and nuclear sectors. Advising Rigby Group plc on its M&A programme and wider corporate restructuring and business matters. Advising the shareholders of Exclaimer Limited and Atcore Technology Group on their sale to private equity and advising businesses backed by private equity execute their portfolio companies’ buy and build strategy. Advising regulated businesses (e.g. a listed gambling business on its overseas acquisitions of online gambling businesses). Advising A F Blakemore & Sons on the sale of one of the UK’s largest wholesale/cash and carry businesses to multiple buyers and its acquisition of Philpotts from the Patisserie Valerie group. Advising one of the UK's largest family-owned conglomerates on its M&A programme and wider corporate restructuring and business matters. Helping numerous owner-managed businesses prepare their businesses for sale or private equity investment by reorganising their group, putting in place revised management structures and incentive schemes, undertaking "exit reviews" to identify any issues which could detract from value or slow the sale process (e.g. investigating the integrity/ownership of critical intellectual property rights and ensuring the strategy to monetise these is clear). Advising International Management Group (IMG) in relation to a number of corporate matters including its acquisition of the Taste Festivals business which operated in a number of jurisdictions. Advising in relation to complex joint venture arrangements often in relation to projects related to high value property, complex accounting/tax issues or the sharing of business critical intellectual property or services. Assisting overseas companies setting up or acquiring operations in Europe and helping them identify potential targets/opportunities, due diligence them and then complete the transactions across a range of sectors from advanced engineering to Tech (e.g. ADP on its $400 million cross border acquisition of Kerridge Group, listed Indian automotive OEMs Mahindra and Eicher and a Canadian listed engineering consultancy on their UK acquisitions and disposals). Advising European companies in relation to their investments in emerging markets. For example, advising a global electronics manufacturer in relation to its takeover of a listed Indian company and numerous owner managed businesses in relation to their first steps into the Indian market be it by way of joint venture, distribution agreements or otherwise. Advising businesses in relation to restructurings and cash extraction e.g. share buy backs and returns of capital. A number of these restructurings have had a cross border element (e.g. Sports plc).